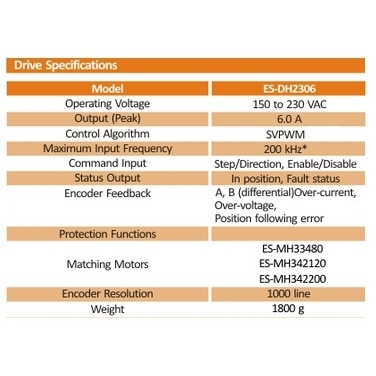 High Voltage Closed Loop Stepper Drive ES-DH2306 230VAC 6,0A (3phase) | DamenCNC B.V.
ES-DH2306 is a drive which can take direct 110/120/220/230 VAC or 30-100 VDC input voltage, and output 0.5 - 6.0 A continuous load-based current. 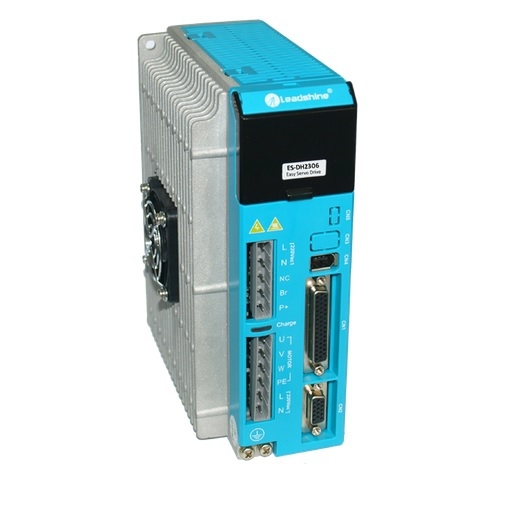 It is capable of driving High Voltage Closed Loop Stepper Motors NEMA 34 and 42(stepper motors with encoders) with the position loop closed in real time. 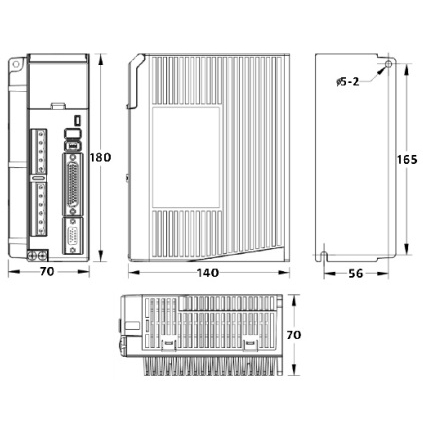 With this drive in combination with one of the advised motors, you will get very high performance. Comparable/better than a servo system. The great advantage with these drives is that you have high torque from the start, so often you don't need a gear reduction. Due to the high voltage, the motors run at much higher RPM than normal steppers.